Experience… expertise… knowledge, these are just three of the many words that can be used to describe the hard-working and conscientious team at Costa Verde. From our journeyman carpenter chock full of creative building/layout design ideas to our highly skilled masons, bricklayers, patio builders, maintenance and office workers, we’re dedicated to providing a superior customer experience to all our valued clients in the greater Victoria area. 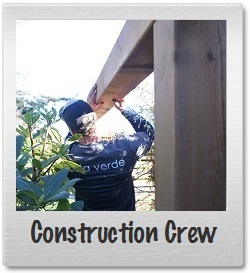 Not only do we take pride in our workmanship, we are also pleased to provide paid summer positions to UVic students, young teens with disabilities, and other local youth from our community. This allows them to earn a decent wage while learning skillsets that will last them a life-time. Behind every successful landscaping business is a hard-working, dedicated team of experts who not only take great pride in what they do, but also truly enjoy creating aesthetically pleasing outdoor visages. Looking to Join our Team? Click here for more details! Masonry experts, landscape designers, dirt movers, irrigation, pool and pond installers – Costa Verde’s landscaping crew contains all these experts and more. 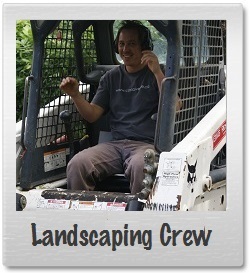 Whether they’re busy building stone patios or pathways, designing new yards for a busy family to play in, creating an escape oasis for a harried homeowner or renovating an existing property, our landscaping crew is second to none when it comes to putting in long hours to get the job done right the first time round. We have successfully completed tons of landscaping jobs and invite you to browse through a few of our many varied projects by clicking here. These are the guys and gals that look at the ‘big’ picture then set to work making it happen. Trained carpenters who put together creative designs to express the owner’s vision are a necessity in the landscaping business. They source out local materials, both the common and unusual, and are able to turn everyday common-place pieces of lumber into a gorgeous backyard deck for all to enjoy. To view some examples of the work our hard-working construction crew have created, please click here. The head of our maintenance crew is a man who takes his position very seriously. A young father supporting his family, he cares about the betterment of all the locations we maintain here in Victoria, BC. Whether it is ensuring that regular routine maintenance is carried out in a professional manner to suggesting and making improvements or simply putting a BBQ cover back on the owner’s grill, our friendly and responsible maintenance crew always leave a property looking pristine and well-tended. 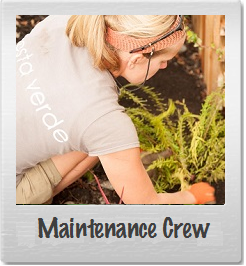 To view a few of the many yards Costa Verde is responsible for maintaining, please click here. Knowing the difference between a potentially viable seedling and a nasty unwanted weed is just part of the knowledge base needed by a true gardener. Plus all that know-how expertise has to come with a strong, sturdy back. 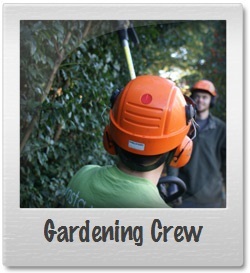 These people know how to properly prune a hedge, create a flourishing vegetable or herb garden, or a complex yet visually stunning English cottage-type garden in your backyard. Check out some of the amazing designs and clean ups these knowledgeable people have done for our clients by clicking here.